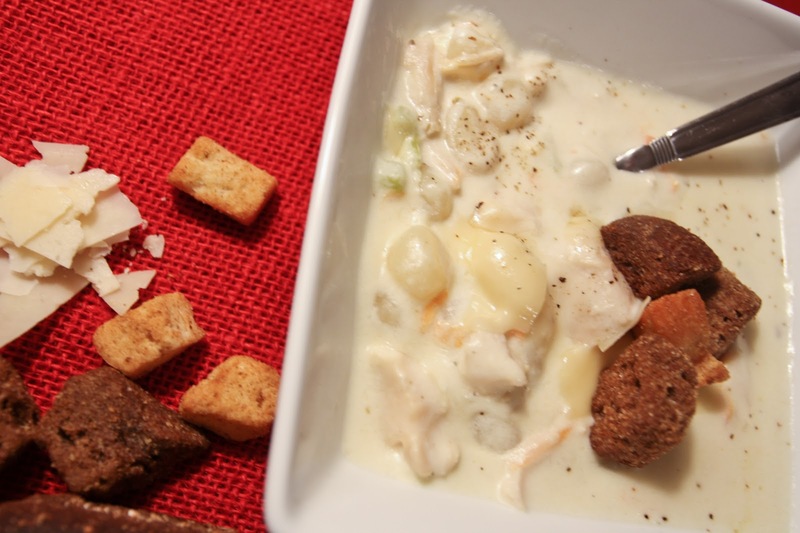 Raising Baitys | A Blog About Life in the Baity Family: Winter Soup Recipes to warm you up! 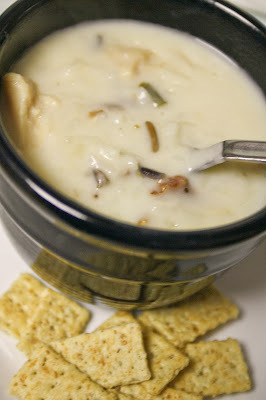 Winter Soup Recipes to warm you up! These were published in the February March Issue of Lake Wedowee Life magazine. Winter months seem to keep everyone staying indoors. Its cold, gets dark way too early and it always seems there’s some kind of sickness going around. So it’s no wonder soup is the perfect comfort food for these cold winter months. We have collected a few of our favorites to share with you. Enjoy! Brown meat in a large skillet on medium-heat. Drain fat. Stir in seasoning mix, tomato sauce, and beans. Bring to a boil; cover. Reduce heat and simmer 10 minutes or until beans are soft, stirring occasionally. 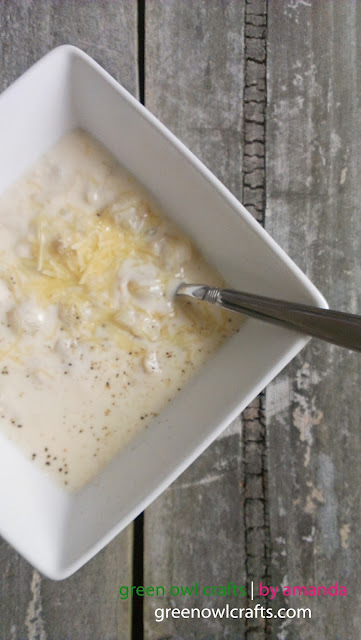 Amanda saw a soup similar to this online and decided to give it a try while substituting some ingredients for things that her family liked better. Not only was the soup a hit with her family, she prepared it for her son's school PTO teacher appreciation lunch and had several teachers email asking the recipe. Gradually stir in half and half with the butter/flour mixture and cook until slightly thickened, stirring constantly. Add this creamy mixture back into the saucepan with the rice/broth. Add remaining ingredients (chicken & bacon). Heat on low, stirring every once in a while, for at least a half an hour. Do not boil. 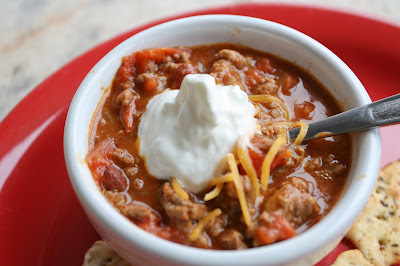 This soup is best served after gently heating for an extended period of time (even a few hours) or the next day! For extra flavor, add more poultry seasoning and/or bacon. This Italian soup is a quick and hearty meal for your family. Most people in this part of the world haven’t used gnocchi, but its basically a potato dumpling. You can find them in the freezer section of most grocery stores. Don’t be afraid to venture out of your comfort zone. The risk is worth it with this soup! In a large stockpot, saute the onion, celery and garlic in the butter and olive oil. When the onion is clear, add the flour and form a roux. Stir and cook a minute. Add the half and half. Meanwhile in another pan, cook the gnocchi. Add the carrots and chicken to the stockpot. Stir often and when it gets thicker, add the chicken broth, gnocchi, spinach and seasonings. Cover and heat throughly. In a bowl, combine the flour, baking powder and salt. Cut the butter into the dry ingredients with a fork. Stir in the milk, mixing with a fork until the dough forms a ball. Heavily flour a work surface. You’ll need a rolling pin and pizza wheel to cut the dumplings. Roll the dough out thin with a heavily floured rolling pin. Dip your cutter in flour and cut the dumplings in squares about 2″x2″. It’s okay for them not to be exact. Just eye ball it. Some will be bigger, some smaller, some shaped funny. Use the floured spatula to put them on a heavily floured plate. Just keep flouring between the layers of dumplings. If they will be cooked soon, this method works well. If you plan on cooking them later in the day, layer them on a cookie sheet with wax paper between and lots of flour. You can also freeze them like this and then transfer them to a ziplock bag.